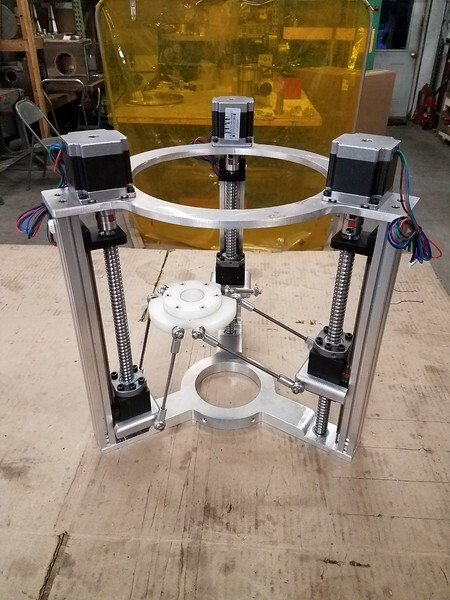 Delta positioner sits on a 16" circular base. It runs via 3 axes spaced 120 degrees apart. 23 frame steppers and ball screw linear guides are used for the actuators. These have 8" travel.